May 9, 2009 – Greta, of Greta's Genealogy Blog, gave me, and Nikita, the Friendly Blogger 2009 Award, for being such a well, friendly, bloggers. 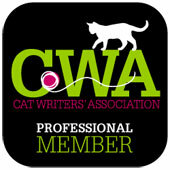 March, 21, 2010 – Mom ML and her cat, KC, of The Sherwood Gang Blog, gave Nikita the Beautiful Blogger Award. 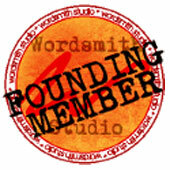 April 29, 2011 – Runner-up in the Purina Cat Chow Correspondent contest. January 18, 2013 - Amanda Socci, the Creative Ideal Gal, gave me the Very Inspiring Blogger Award for "bloggers who inspire through their writing." May 6, 2013 - Marian Allen, award-winning author, blogger and encourager of writers, gave Nikita and Elvira the Versatile Blogger Award. July 5, 2013 - Marian Allen, award-winning author, blogger and encourager of writers, gave Nikita and Elvira the Liebster Blogger Award. 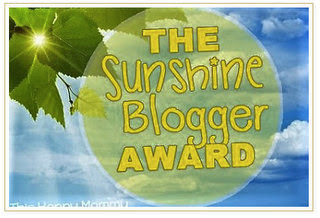 Oct. 8, 2016 - Award-winning blogger Melissa Lapierre, of Melissa's Mocha's, Mysteries and Meows, recently received this award and encouraged her blogging readers to claim it for themselves since she couldn't decide who to give it to, so feeling that I met the criteria I answered the questions in a blog post & claimed The Sunshine Blogger Award.